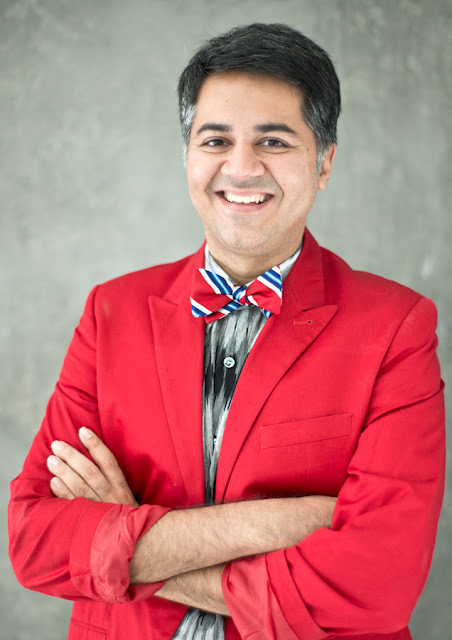 It is an extremely proud moment for the Godrej Group as Parmesh Shahani, Head of the Godrej India Culture Lab, who was previously selected as a TED Fellow in 2009, has been announced as a TED Senior Fellow for 2017. He is the only Indian to be part of this fellow programme this year. This honour will enable him to further cement his engagement with the TED community. He will have the opportunity to participate in four additional TED events and potentially the opportunity to deliver a talk from the TED stage. This year’s class of TED Senior Fellows also includes a biologist using novel, low-cost materials such as legos, apples and asparagus to develop next generation medical innovations, a policymaker whose non-profit RISE worked with US legislators in 2016 to pass the Sexual Assault Survivors’ Bill of Rights, and a choreographer dedicated to the ancient art of Cambodian classical dance who founded Cambodia’s first all-male and gay-identified dance company. A full list of the new TED Fellows and Senior Fellows is available at ted.com/fellows. Founded in 2009, the TED Fellows program has 414 Fellows from 87 countries, whose talks have collectively been viewed more than 145 million times. In its eight-year history, the TED Fellows program has created a powerful, far-reaching network – made up of scientists, doctors, activists, artists, entrepreneurs, inventors, journalists and beyond -- leading to many meaningful and unexpected collaborations including BRCK, the self-powered, mobile WiFi router that can work anywhere, even in the harshest conditions; Mappr, the data visualization platform recently acquired by Slice Technologies; and Brick x Brick, a public art performance inspired by the 2016 election that builds human “walls” against misogyny. TED is a nonprofit devoted to spreading ideas, usually in the form of short, powerful talks (18 minutes or less). TED began in 1984 as a conference where Technology, Entertainment and Design (TED) converged, and today covers almost all topics — from science to business to global issues — in more than 100 languages. The conference has morphed into several different initiatives – such as an annual TED prize, a TED Talks website with videos that have had more than 2 billion views to date, a TED Institute and the TED Fellows program. With the support of the TED community, TED Fellows have received millions of dollars in funding, been awarded prestigious prizes and grants, and been published widely. See http://www.ted.com/ for more.